You are here: Home › Toby Christensen's Work › New Update! Well I am back from the islands; my tan is fading, and its time to get back on the road. I have had such a blast here in Park City the month of August. I have been mountain biking everyday and enjoying the mountains. I have had the pleasure of working people from all over the world attending training with The Four Winds Society. Tanks to Linda Fitch, Karen, Jillian, and of course the new addition to the hHealingDrummer crew Corrina Rasmussen. I am so honored to share the power of healing and unity to such wonderful groups of people training to bring healing to the world. Here are a few shots from one of our events! Here we have a group learning to enhance their drumming skills learning the 5 element rhythms. 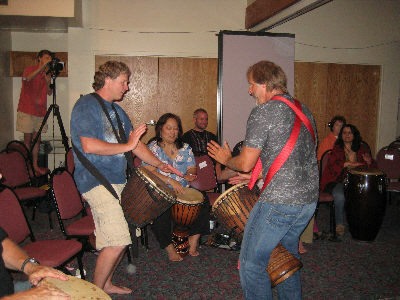 Many had never played a drum and left the event with great skill!! In this shot I am having a jam session with one of the seasoned drummers. We traded licks while the group healed the steady rhythm. Lots of fun. 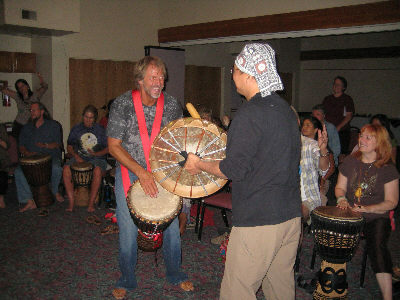 In this photo the healing energy was strong and a man from Taiwan grabbed my hoop drum and we drummed for world peace!!! It is all about world unity, and we had people from all over the world at this event. 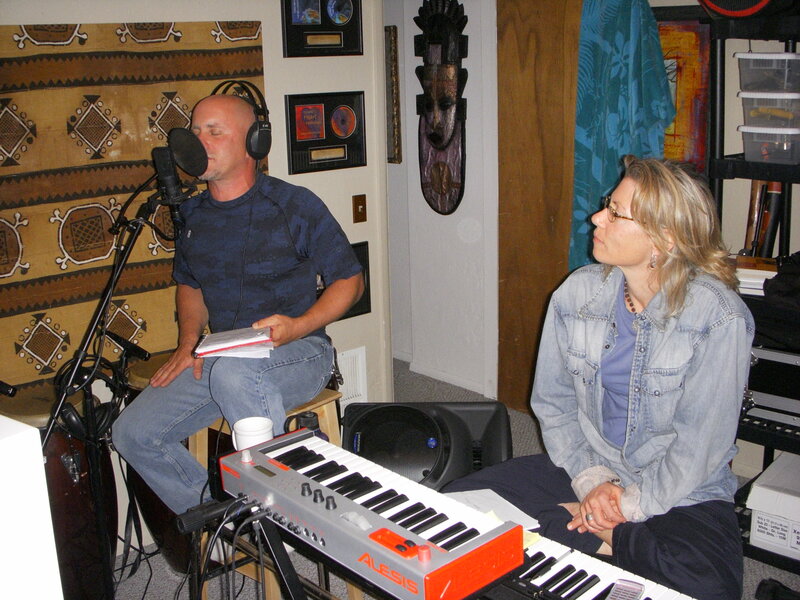 Another very exciting event has been the privilege of working with recording artist Rich Wyman and his wife Lisa Needham. Rich has worked with some of the greatest musicians throughout Europe and here in the states has worked extensively with Eddie Van Halen. 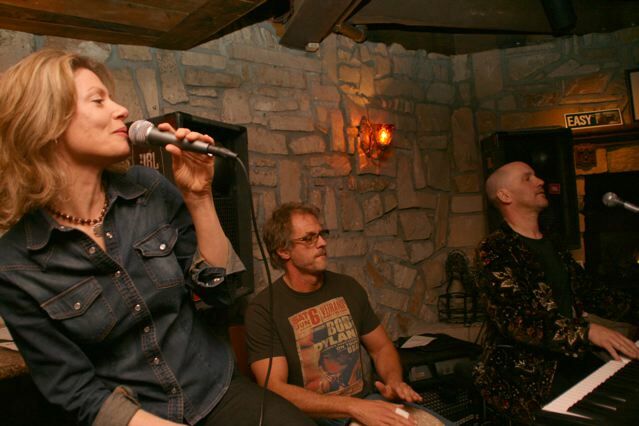 Rich and Lisa are collaborating on Lisa’s first major CD and I have the honor of playing the role of engineer, drummer, percussionist and guitar player for the preliminary recording!!! What a blast!!! As you can imagine, with all of this going on, sleep is a rare occurrence but I have been blessed to have some incredible support from some great healers and Portland Roasting Coffee Company. I’m going through a bit of java these days!! My coffee cup reads, “You can sleep when you are dead!” I’m hoping it is true cause I’ll need it. I’ll be posting snippets of the new music on this blog so check back regularly. 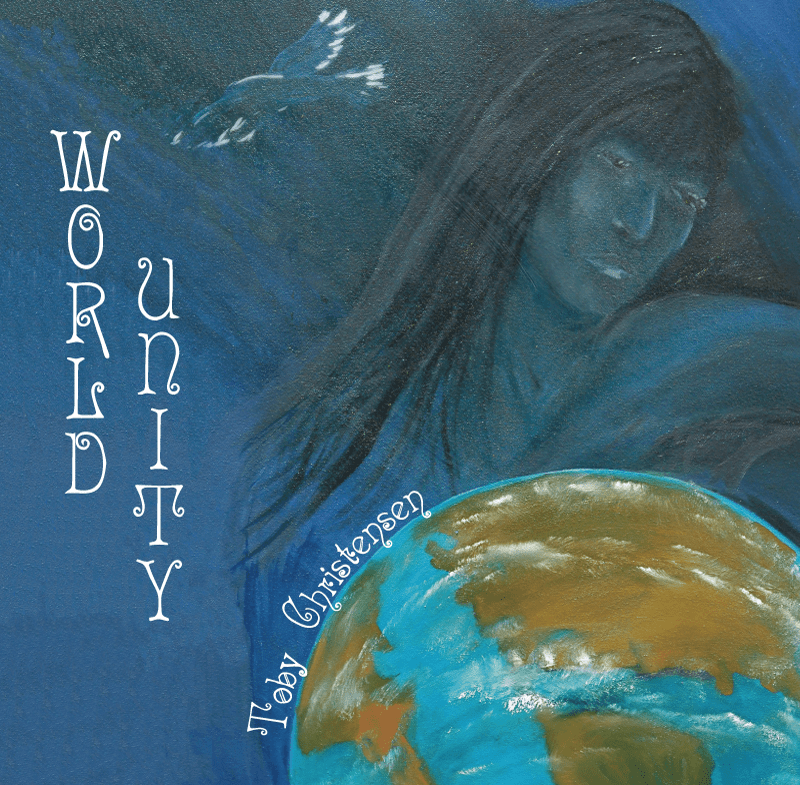 For those of you who have not purchased your copy of World Unity, the feedback from those who have been listening is GREAT!!! I am happy to say. 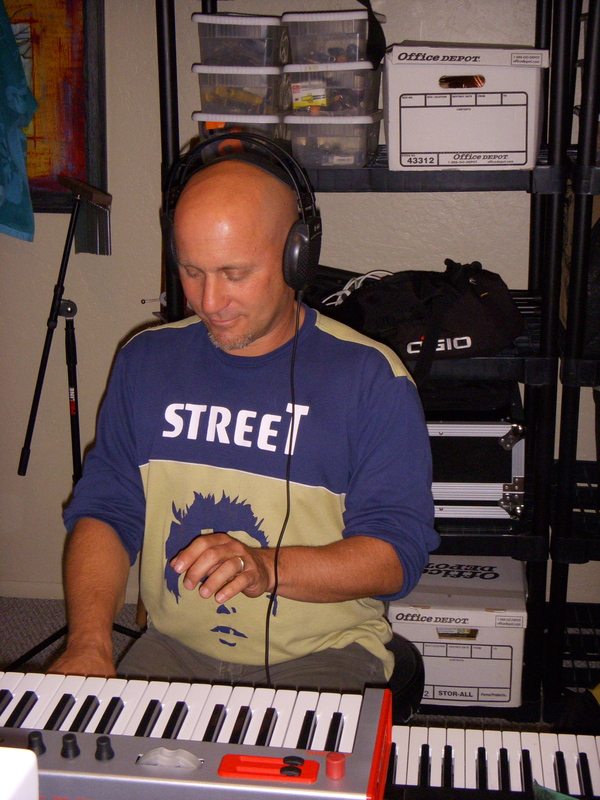 I am working on a new word music CD for holiday so you will have something exciting and uplifting for holiday gifts. So start with World Unity and get ready for another creation end of November! Live loud and with energetic intention! Enjoy the rhythm of life and spend a moment to be grateful for something you may take for granted. World Unit CD is great!